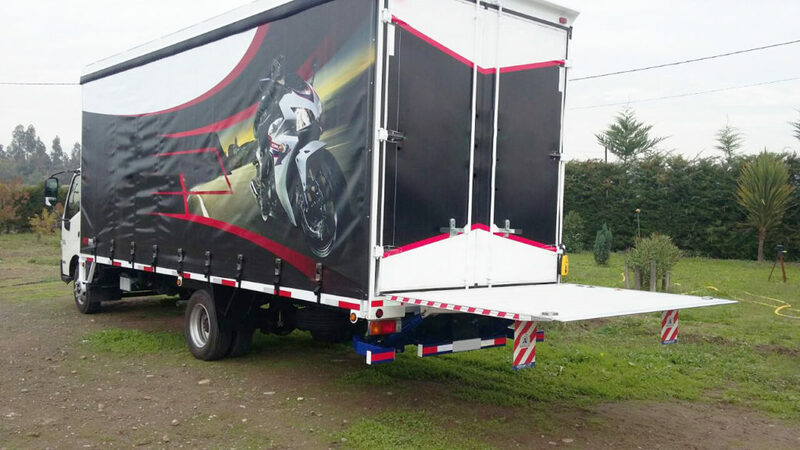 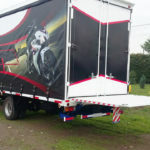 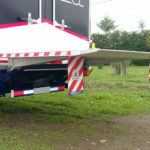 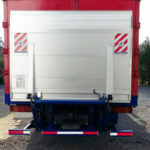 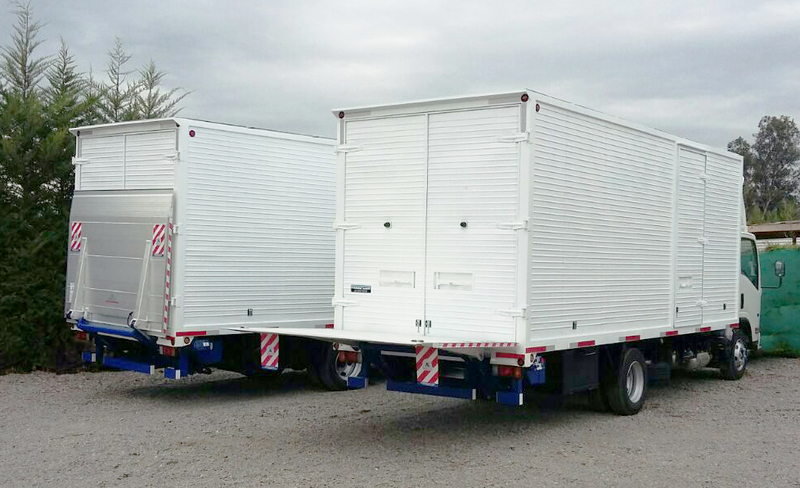 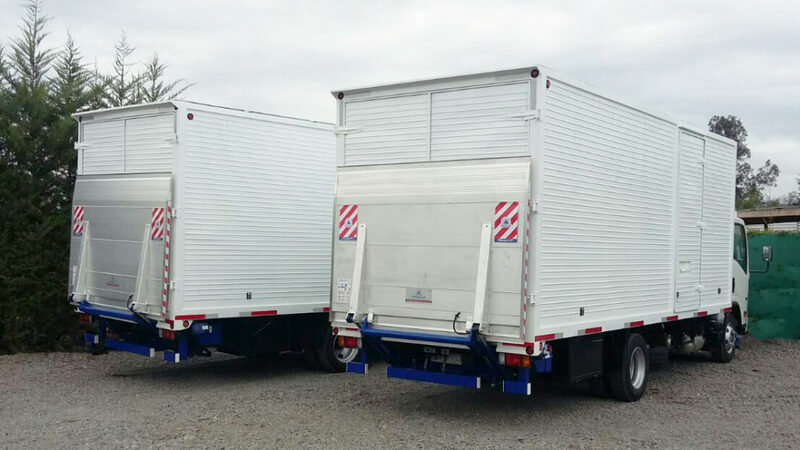 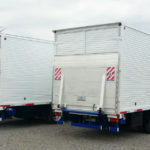 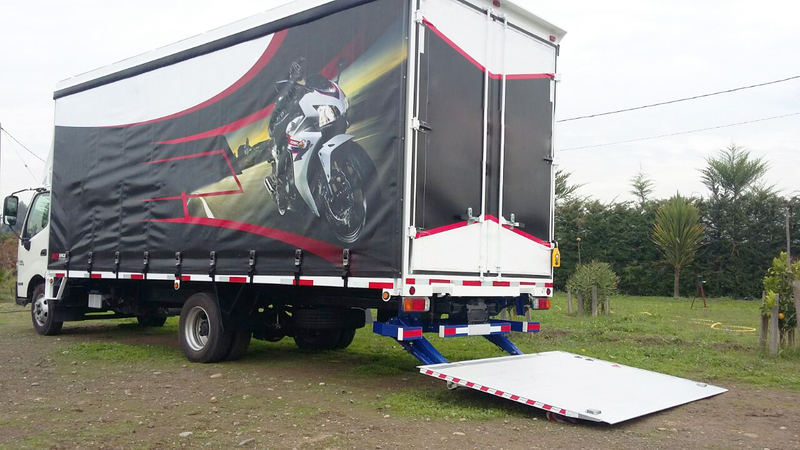 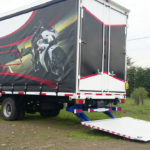 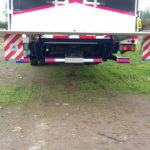 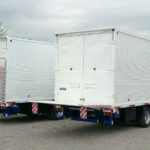 The vertical tail lifts with 4 cylinders are mounted on the back side of trucks and vans, acting as a elevator for lifting, loading and unloading goods. 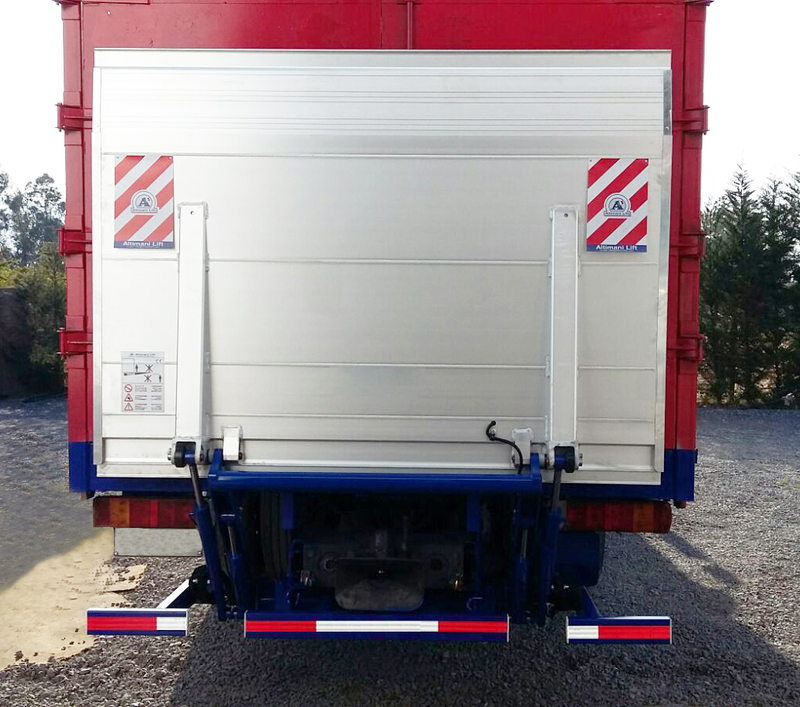 Power unit with electrical valves and two-hand control 12v or 24v. 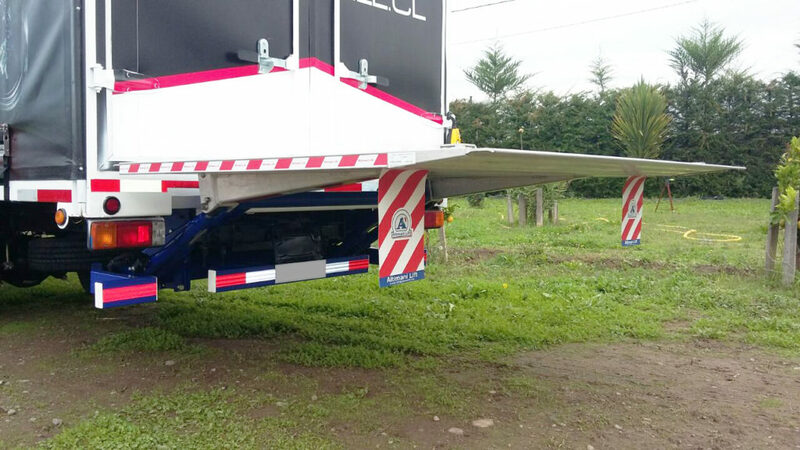 Platform entirely in aluminum. 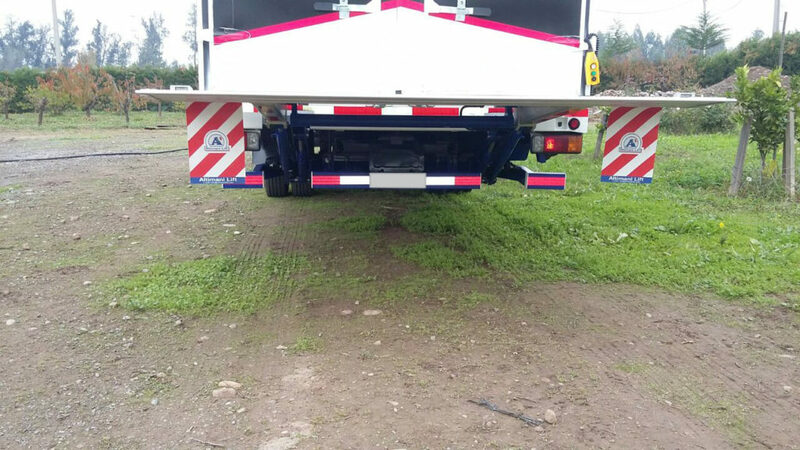 Foot control fitted onto the platform.